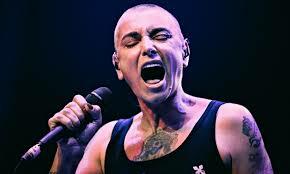 I love Sinead and I think she was mistreated. I also think she has some good ideas for Ireland’s future, but I don’t care what she said to Gerry Adams in a private session. If she has something to say, I think she should say it publicly. Even better, I think she should run for public office. Meanwhile the fact that neither party choose to speak openly about their discussions indicates to me that there may be something on-going about the discussions, and the soup needs more time to cook to reach a conclusion. Of course, I’m just a Yank. What do I know? Ted and Dougal agree that the people of ‘Craggy Island’ will never put up with that. No way, Jose! Eventually she turns up at the parochial house and imposes a reign of politically correct terror on the hapless clerics. 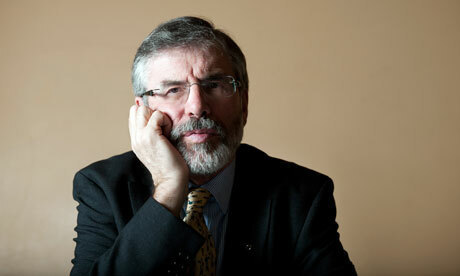 So now it’s ‘Rock a Hula Gerry,’ time. With Mr Adams cast in the role of the hapless ‘Father Ted.’ It couldn’t happen to a nicer bloke. Isn’t it strange how often writers ‘write’ the future without knowing it at the time? Any attacks of prescience recently, Ed?